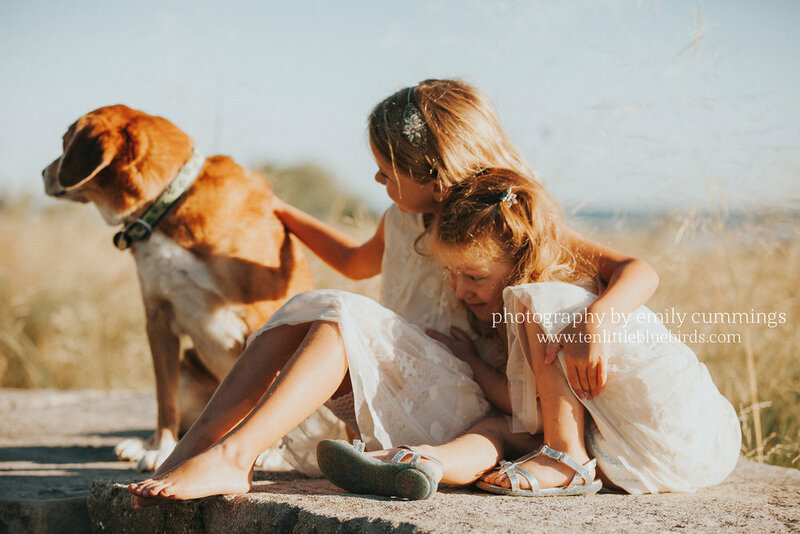 As a connection photographer, I am drawn to capturing images that evoke emotion through connection. 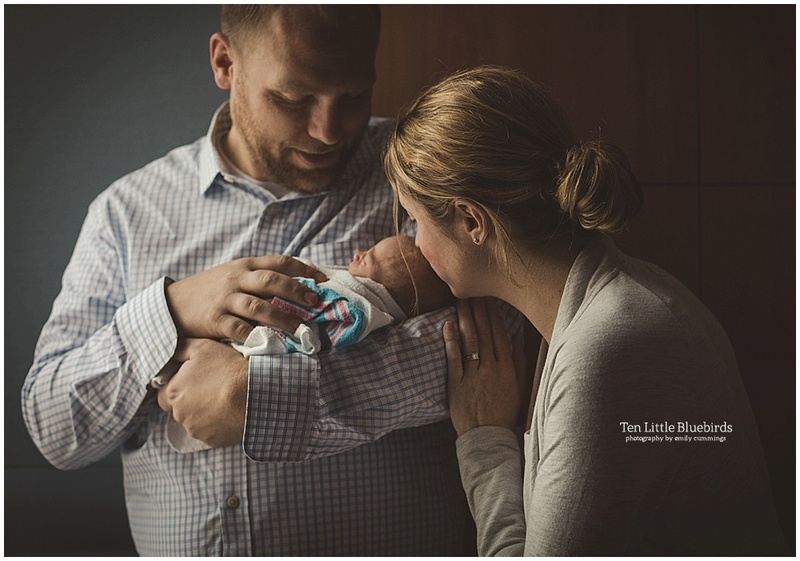 Newborn photography is perhaps the most poignant example. 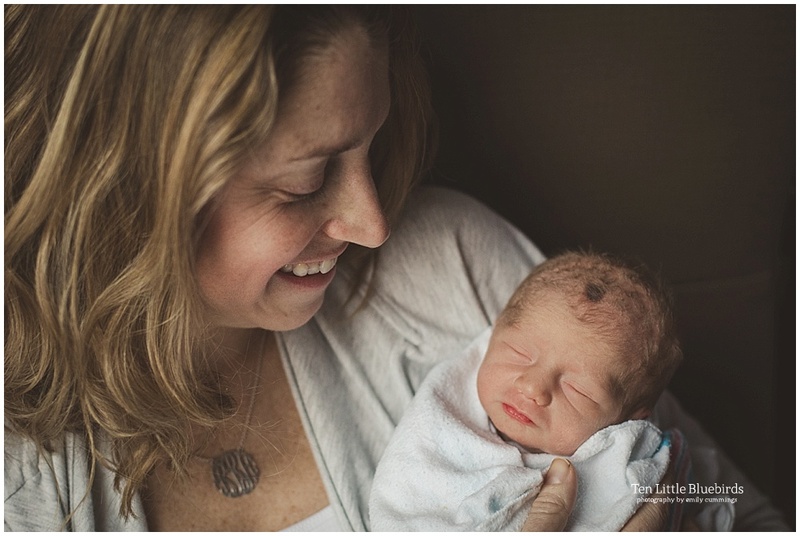 Of course, moms always ask: is there an ideal timeframe for taking newborn photos? Yesterday, my family and I were getting ready for an excursion downtown, in part so I could check off my daily assignment for the 365 project. As we were about to walk out the door, I received word that my friend's baby girl had decided to grace us with her presence the night before. 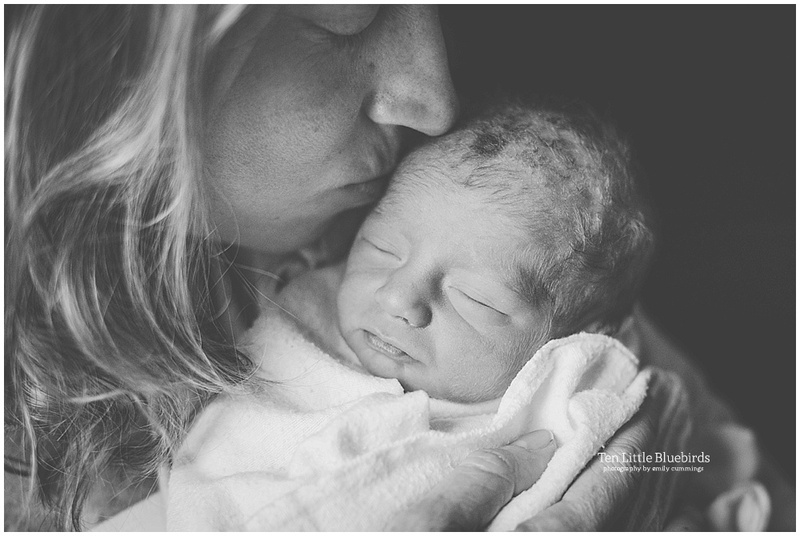 When I got to the hospital I persuaded my friend to let me take "just a few" photos. 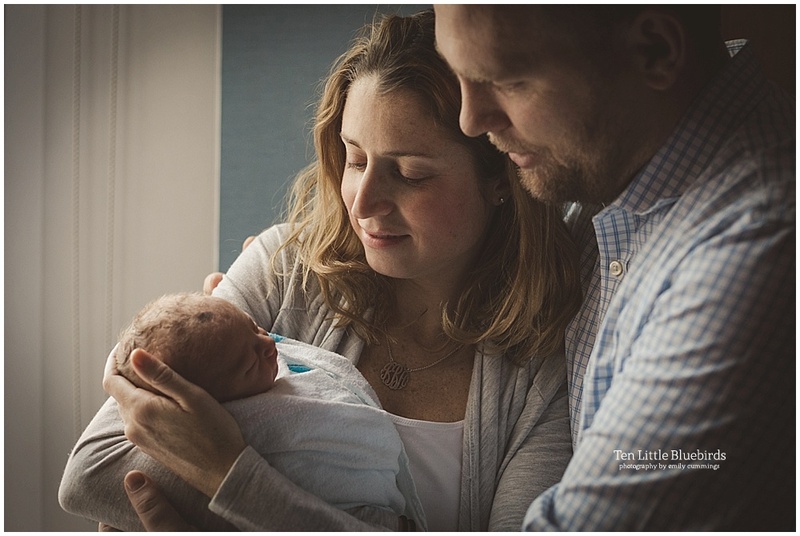 That is how I managed to get the intimate pictures below - just 19 hours post-delivery. Has my friend had her make-up professionally done and her hair blown out? Not a chance. The truth is, she's most likely been spit up on and hasn't slept in the last 24 hours. 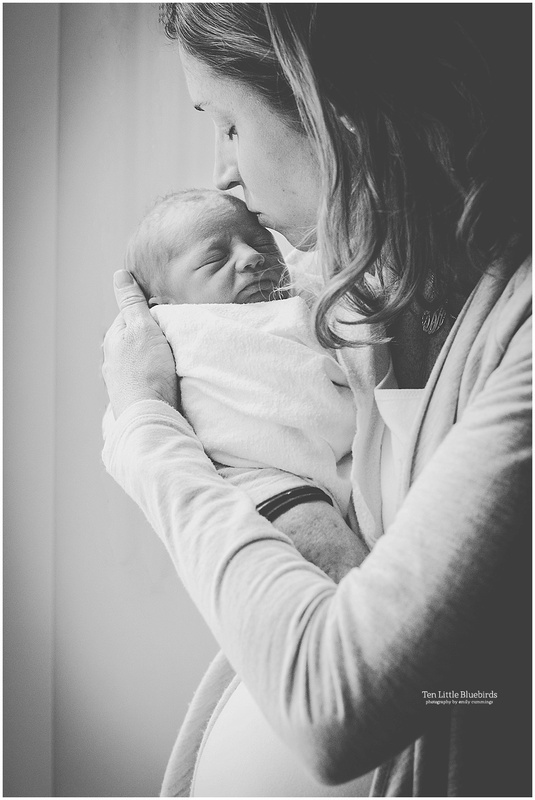 But she is my strong and gorgeous friend and the connection between her and the baby is real and beautiful. 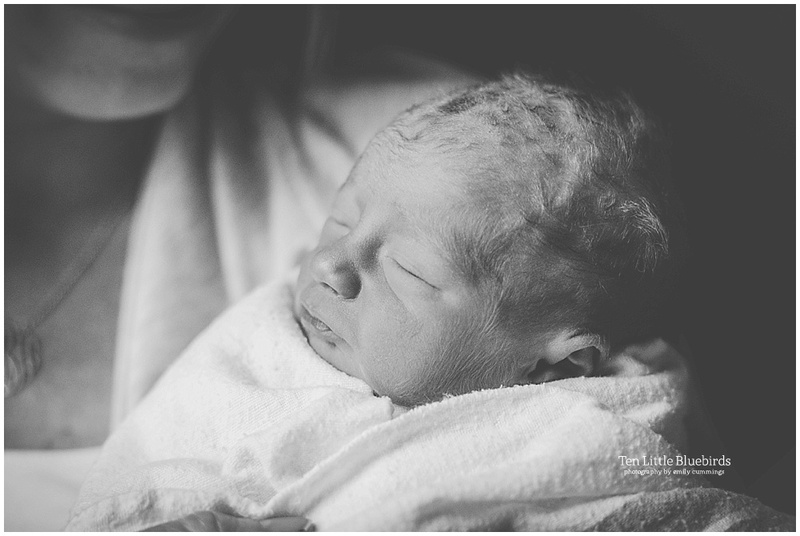 I can sympathize with any woman not wanting to photographed just hours after labor. 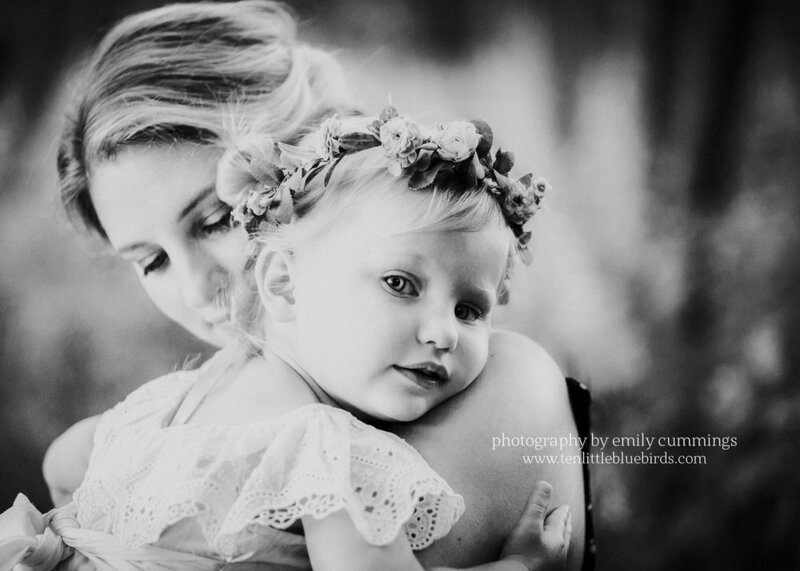 However, as a mother and a photographer, I would just say remember these two things: (1) there will only be one day in your life when your baby is that new and (2) a good photographer will take pictures that respect and support mom and the baby while capturing the wonder of that first full day of the rest of their lives together. Check out the case for taking pictures immediately by heading over to the second part of this post. 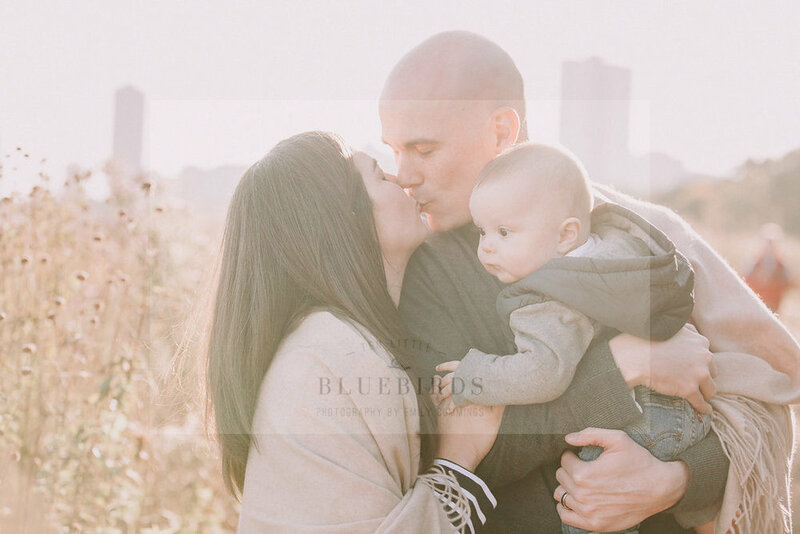 January hardly feels like an inspiring month for a personal family photo shoot. 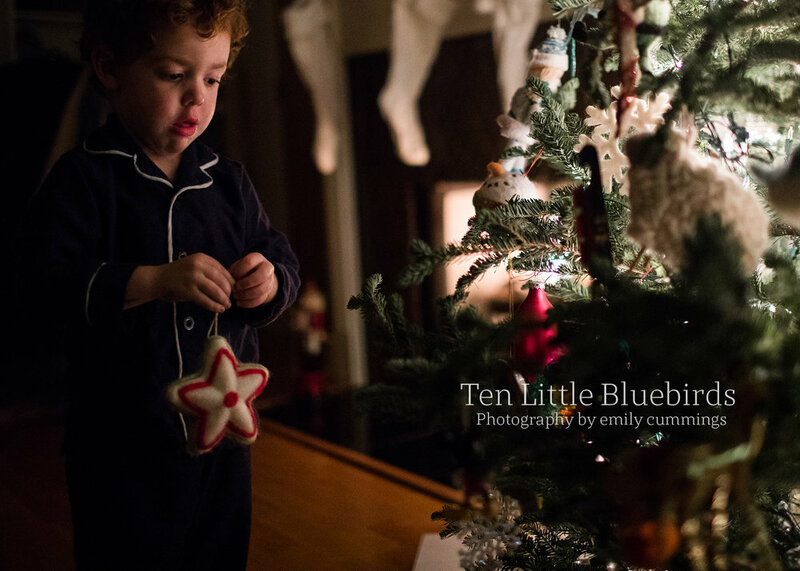 However, this year I am determined to not only edit my family photos but also participate in the 365 photo challenge. If any of you parents out there are interested, I highly suggest it for a number of reasons (you can start one anytime)! First, what a great way to capture the daily life of your family. 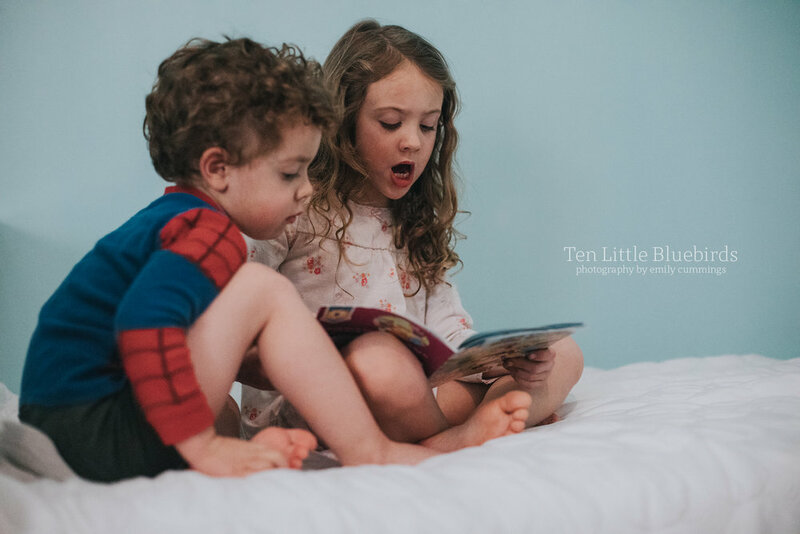 Photography is a gift and someday I know my family - despite the protests - will appreciate that these day-to-day moments were saved and neatly packaged in an album. (I'll go ahead and give myself a pat on the back right now.) Second, what better way to continue to challenge my photography skills by capturing the whirling dervish that are my children? Third, a daily photography project motivates me to to get out of the house and have a family adventure to create more memories. Now, even though they are fairly improvised shoots, I still put some thought into the fundamental details before we go out into the world, such as planning out light, an outfit suggestion here and there, and a bullet-point of shots I definitely want to take. 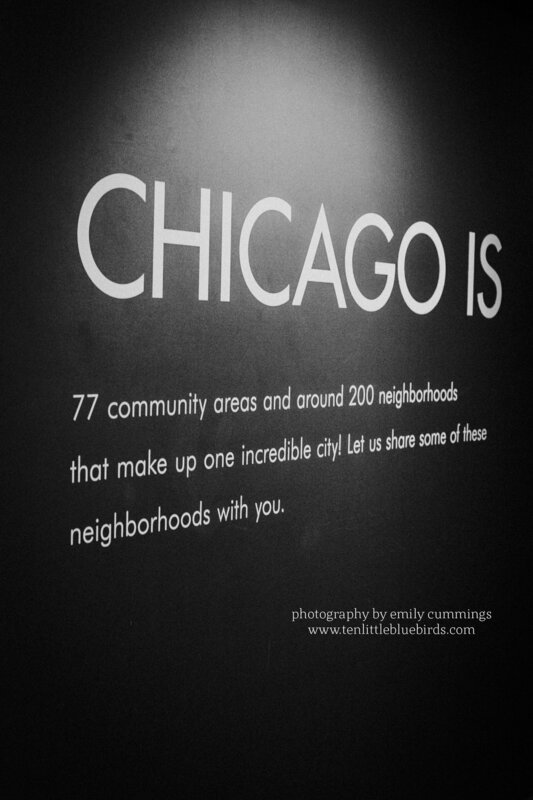 But the truth of the matter is that I love these excursions because they are an opportunity for my family and I to explore more of our city with my camera in hand to capture it all. Yesterday, we took a visit to Stan's Donuts on our way to see a dear friend with a new beautiful baby at Prentice Hospital. 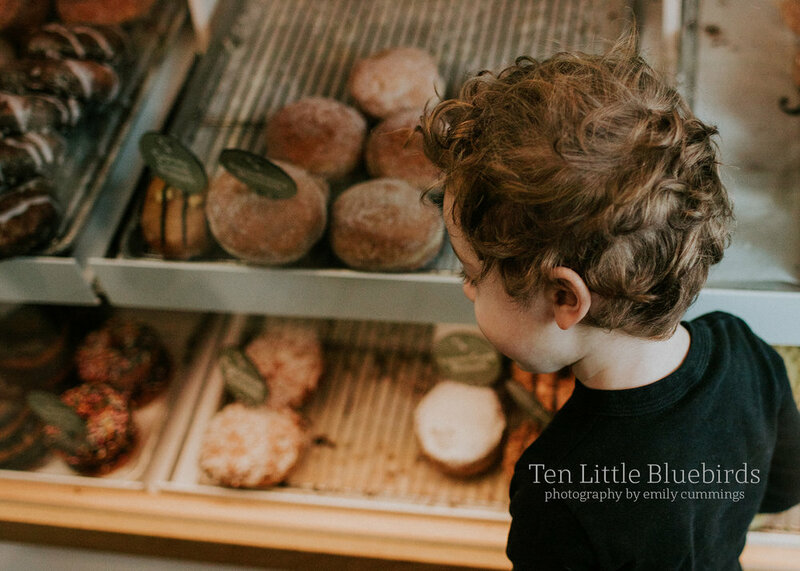 I have often thought about shooting pictures at Stan's Donuts (particularly this location): I love the airy light feeling, the colors of the donuts, and Kitchen Aide Mixers in every imaginable color. 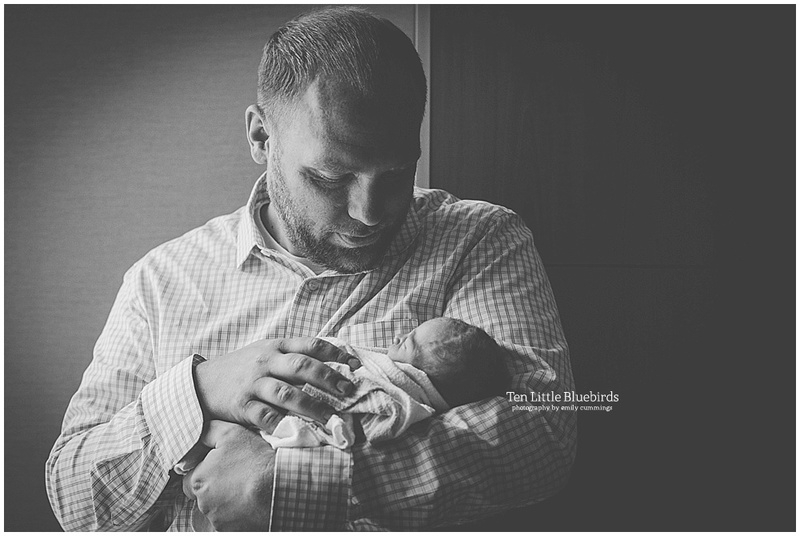 My personal 365 project was the reason it finally happened. Here are the results! It certainly feels like an adventure everyday with my crew. 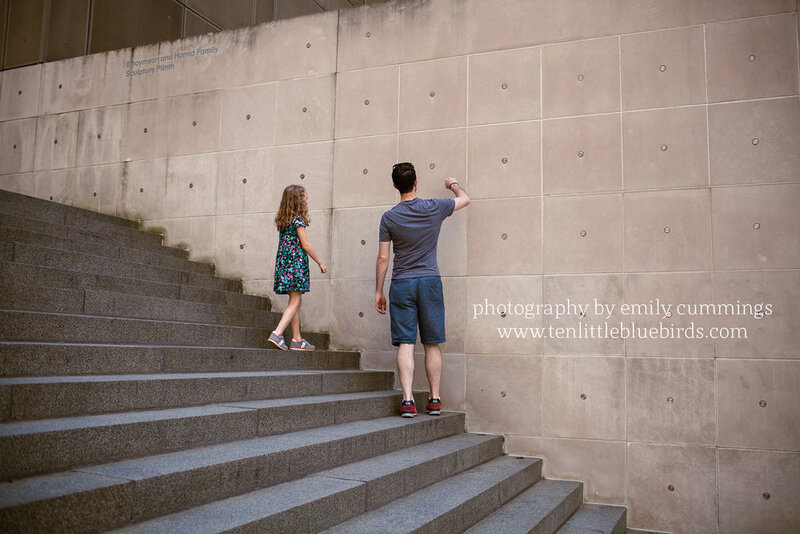 This "field trip" was inspired by my littlest guy pointing to the top of the John Hancock and saying "I want to go up there..." nearly every time we drove by (which is often). My hubs and I celebrated our wedding in the Signature Room almost 8 years ago so it seemed like a fun activity for the kids. 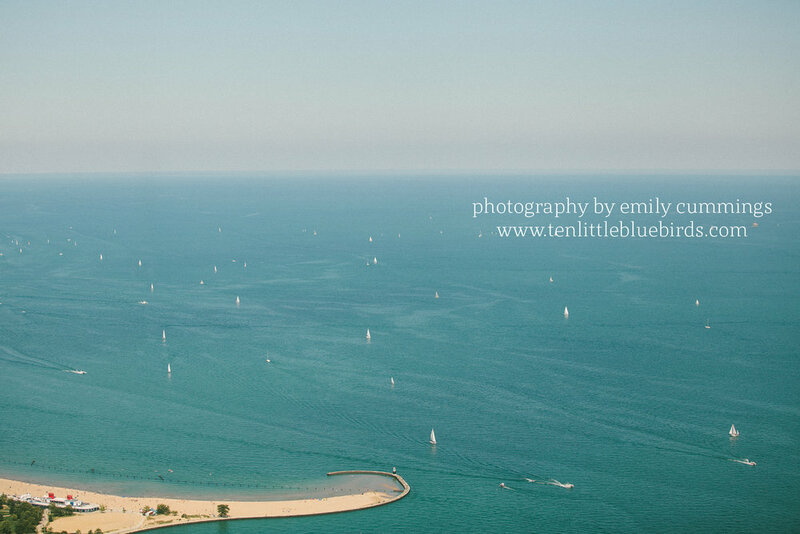 I had actually never been to the actual observation deck - so this view as a treat. 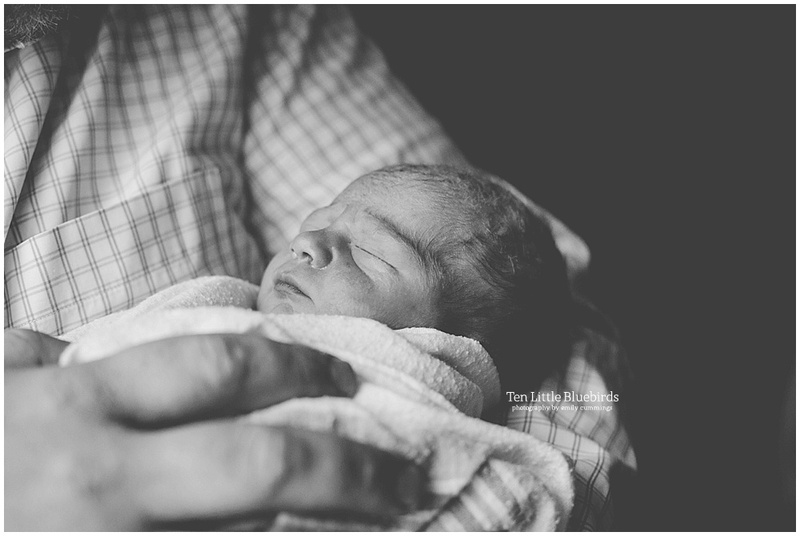 I thought I would share a few personal pictures on the blog of our family adventure! Sometimes, I think it can be difficult see the beauty in our everyday experiences. As a photographer I want to grab the "wow" picture each time and as we trudge through the daily grind it is so easy to lose sight of the beauty in the gift of each day. There is so much beauty even in the daily grind. Heck, the fact of the matter is we are lucky to have a daily grind! Earlier this year, I read a great book by Christine Carter, The Sweet Spot. One main tenant from the book was that gratitude has such an impact on our happiness and life satisfaction. Not only does gratitude increase our social connection with others but as we start the practice of taking notice of what we are grateful for, it essentially increases our vision to recognize even more things around us to be grateful for. I am hoping that by capturing, even the mundane, it will help me to be more constant in my recognition. This year I have decided to hold myself accountable and take more pictures from every day of my own family. I would be remiss not to tell you, family and friends that I am grateful for you and the impact you have on my family and myself. I am truly blessed. Thank you, I am grateful! The lack of sauce breaks my Italian husband's heart (just a little) each time. Procrastination is rarely a good thing, except when it gives you a chance to contemplate summer during the single digit days of January. Last June a friend and I created a three part stylized shoot at the lake. Our models, not surprisingly, were thrilled to eat ice cream at 6:30 AM. 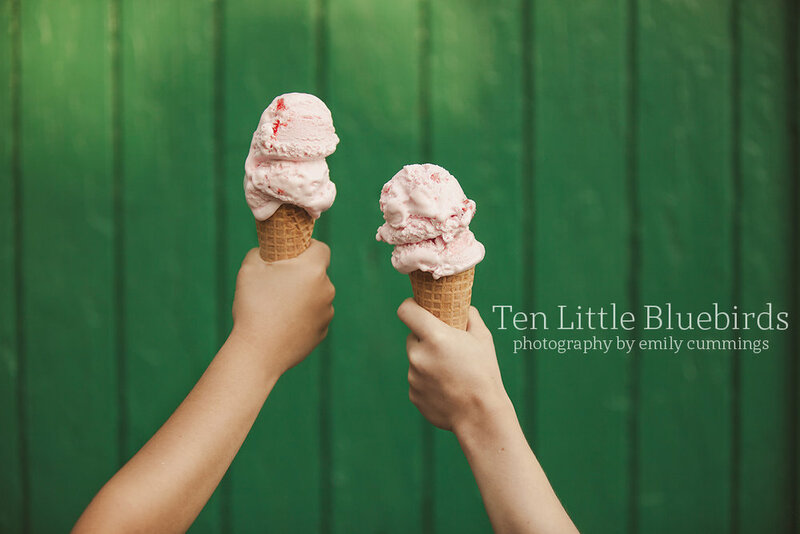 For my friend and I, half of our fun was brainstorming the concept from location, to clothing, to props (including of course the pink ice cream). 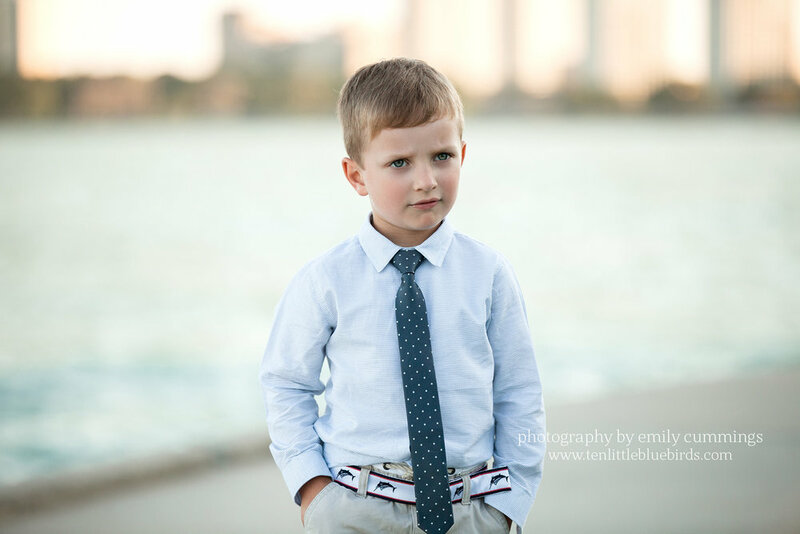 Stylized shoots are a great way to involve the you in every aspect of the design so that we can showcase the personality your children. Who knows your child better than you, after all?!? 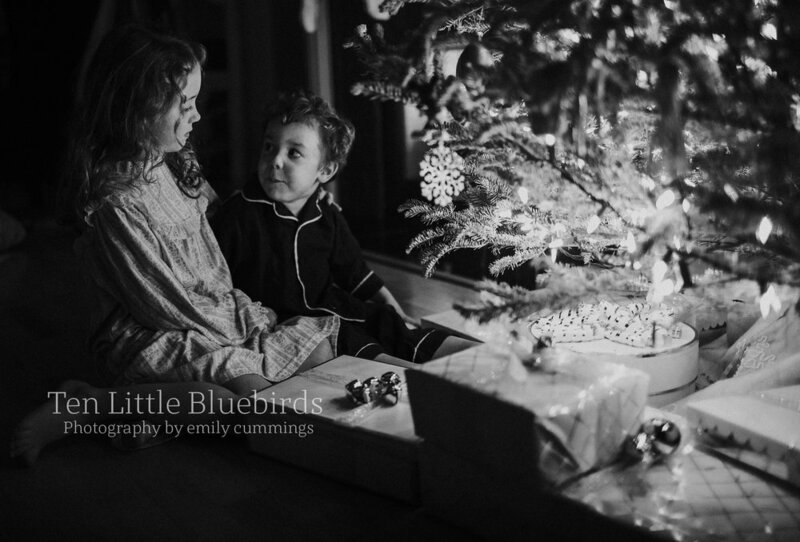 I have so much fun with these sessions so expect to see more of these from Ten Little Bluebirds in 2017. 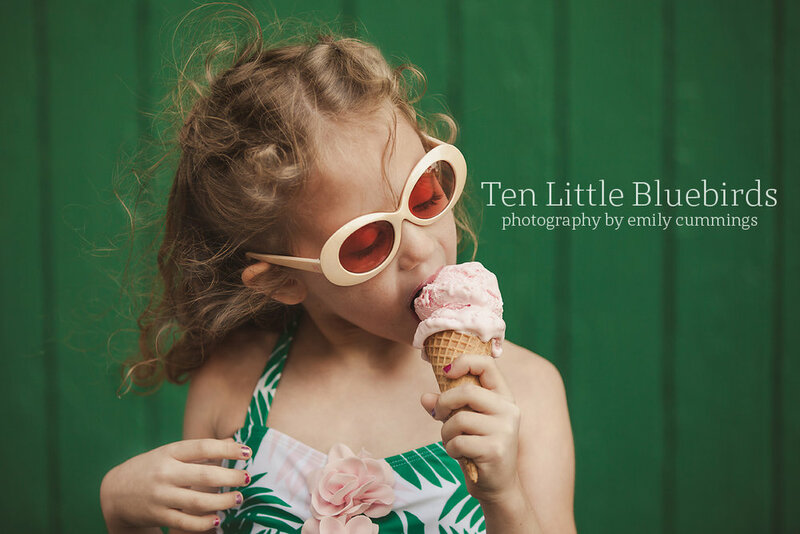 Please feel free to email me (emily@tenlittlebluebirds.com) with your own ideas and don't forget to "like" me on Facebook as I will soon be doing model calls. I hate the cold of January, but I LOVE the feeling of starting fresh. 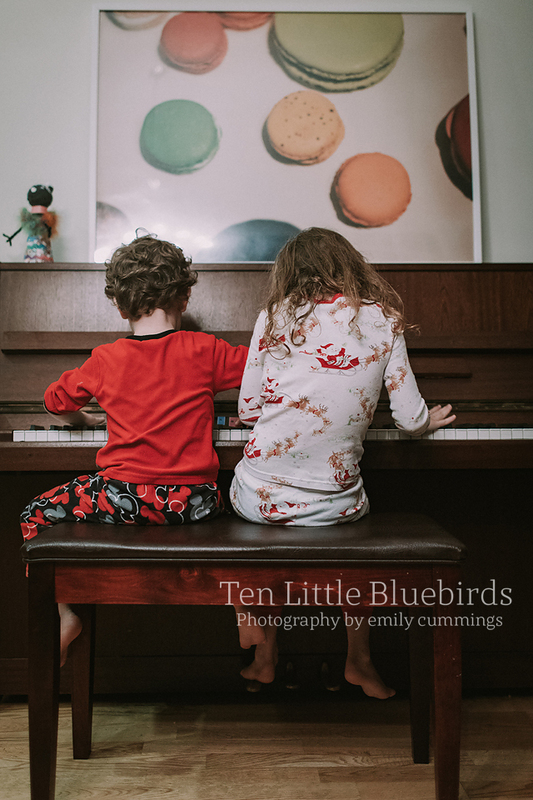 I am making it a goal for 2017 to remind myself why I picked up this camera and to no longer leave my digital images untouched on my hard drive - but to take the time for myself, my husband and children to edit and share my personal work. Let the fun begin! Oh this is my favorite season. 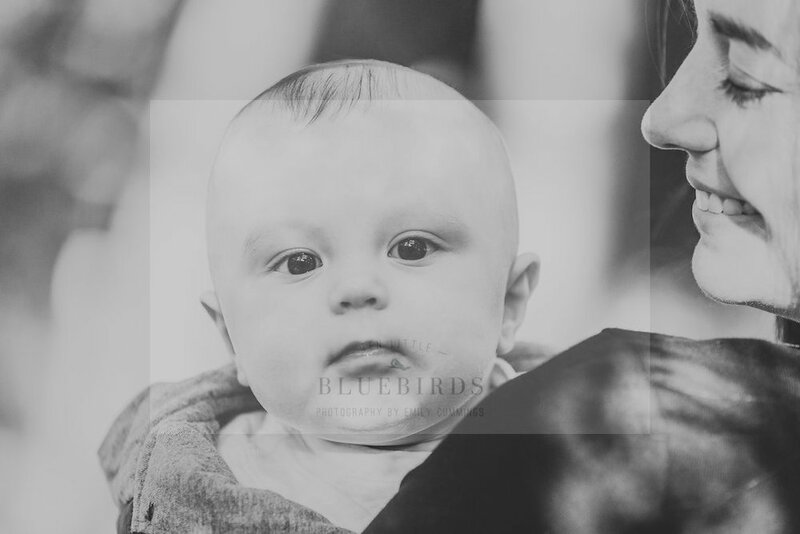 I love the crisp air, the colorful leaves, warm sweaters and anything pumpkin...but most of all I love that I get to connect with families old and new. This fall has been particularly busy already but it has been chocked-full of loving moments caught on camera. Whenever I shoot at an unfamiliar location I always try to do a prep shoot on-location beforehand. 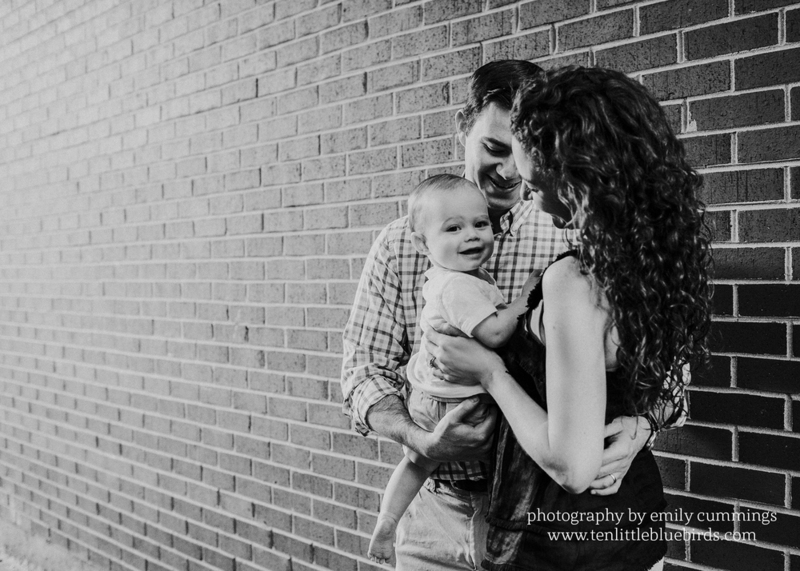 This summer, I was asked to photograph a sweet little family with whom I've worked with over the last few years. 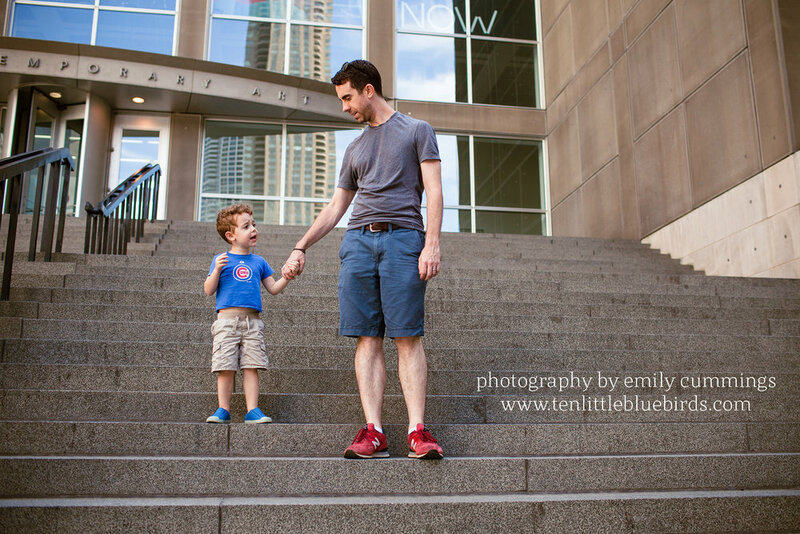 This time they were really excited to have the shoot at the Chicago Botanic Garden. The week prior, my husband and I piled the family into the car and headed north to Glencoe for a morning of fun. I was in awe of these beautiful gardens. Having lived in Japan, London and of course now the Midwest I am so inspired by the wonders that the Chicago Botanic Garden has to offer: Japanese gardens, the Prairie-lands and of course the high-walled English Gardens. As a little girl, I loved Frances Hodgson Burnett's The Secret Garden. I was immediately transported back to my middle school years - when I devoured this masterpiece. The minute I stepped into the Chicago Botanic Garden, I felt a rush of creativity! I had always wanted to try my hand at a styled shoot, and this felt like the perfect opportunity. The minute I got home I pulled out my computer and put together a family style board (see below). 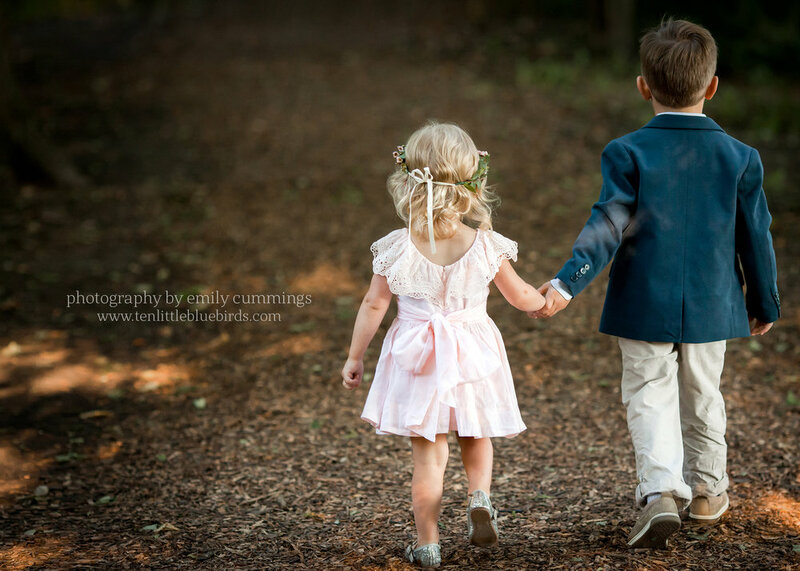 I then rented a gorgeous Nellystella dress and a flower crown and pulled out my copy of the Secret Garden from the bookshelf that I have had waiting for my daughter since she was only 3 months old. The results of my first styled shoot are below. I can't wait to be inspired by the next concept! The original concept board created for my styled shoot. When I was growing up and not feeling super hot (whether it be a bad cold or high-school heartbreak), my mom always pushed a warm shower, hot rollers, and a little lipstick. As I begrudgingly applied my Maybelline at the time, I didn't realize that (once again) my mom was right. More than that, she revealed a secret to confidence and just plain feeling better. I recently read an article in the UK's Daily Mail about research that shows wearing specific clothing - like something as simple as superhero T-shirts - can cause people to feel more confident and even stronger. Maybe that's why my newly-potty-trained super-confident 3-year-old feels the need to throw off his shorts and show off his Batman undies! 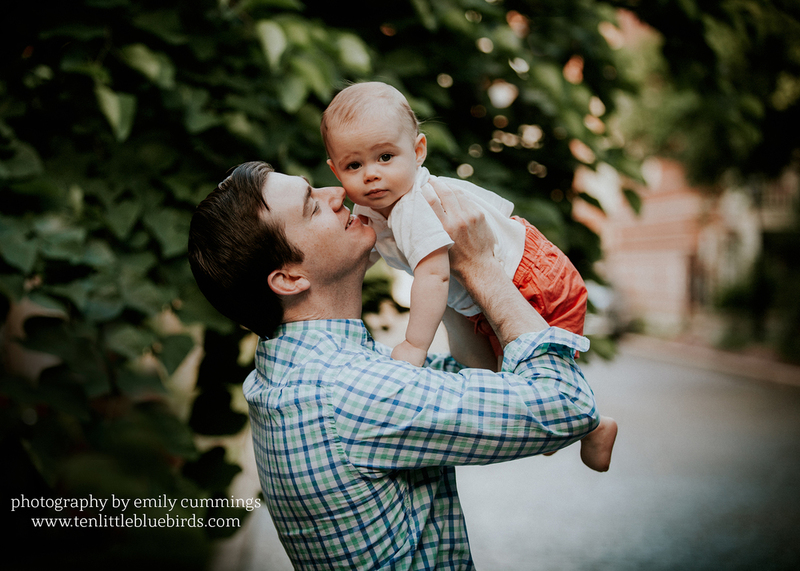 This blog series will provide some of my favorite client style tips for the perfect family photography session! Don't Be Afraid to Dress Up! Have fun with this! I love Rent the Runway for fabulous frocks that don't require a huge monetary commitment. Dresses and skirts can be flattering for every body-type . 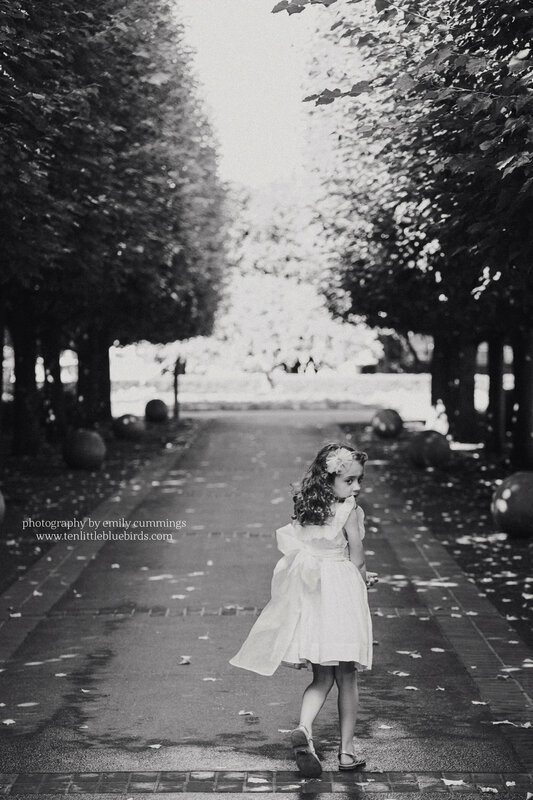 Full-length dresses with lots of flow and movement (chiffon or tulle) can look amazing in photographs. Longer skirts and dresses definitely work better when you have little family members being photographed with you. I definitely recommend floor-length maxi dresses for expectant mothers because it can create a beautiful silhouette. Heels can make those legs look so long but can be a real pain trekking through the woods. 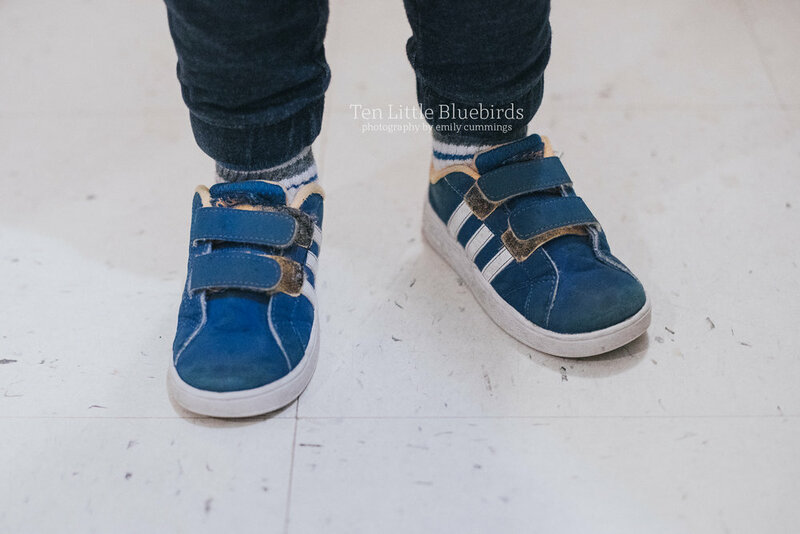 So bring a pair of easy shoes to slip on and off and - I promise you - your feet will thank me! You are welcome to bring more than one dress - maybe something exciting and fun - a "WOW" dress and then one a bit more casual. But if the just the idea of bringing two outfits while dealing with children causes you the slightest stress - one dress will do just fine! As for colors, I truly love a more muted palette. This will allow the focus to be on your family and interactions with each other and not the bold outfit. Think pinks, light blues, sophisticated neutrals like heather gray, cream, leather browns and whites. These colors look especially gorgeous against the backdrop of our dreary November - March Midwestern days. Who doesn't love a good pop of color? Just keep it to a few pieces or even layers that you can bring in and out of photos. 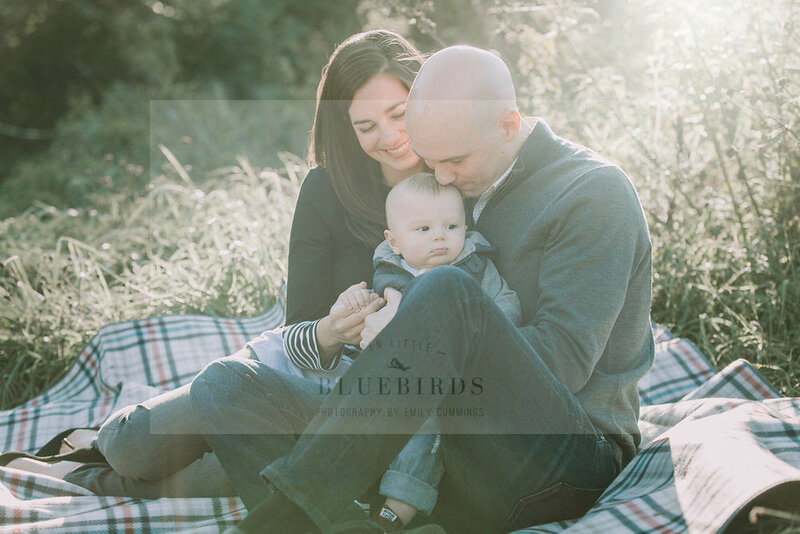 We had a beautiful summer morning to enjoy the sunshine with this sweet family. This little guy just turned one and we wanted to capture a morning in their neighborhood. 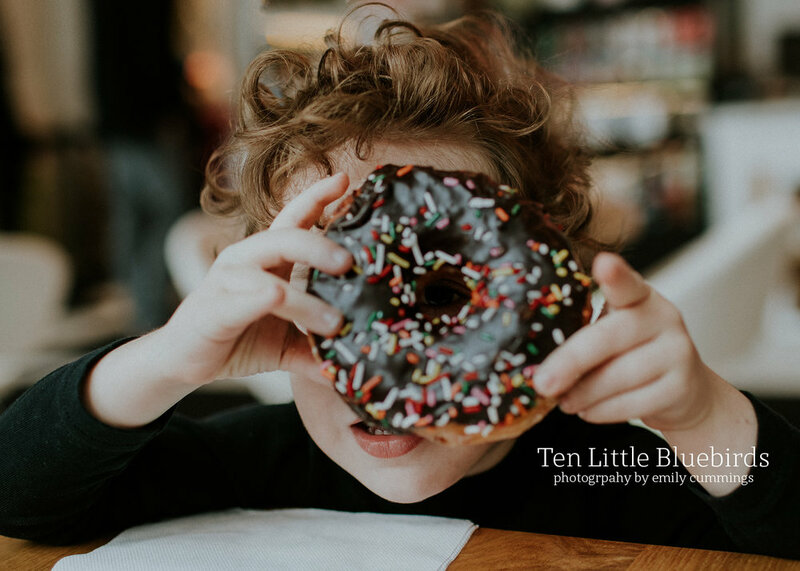 Lifestyle sessions at home or in familiar and favorite spots around the city are always a great way to keep little ones comfortable and engaged. 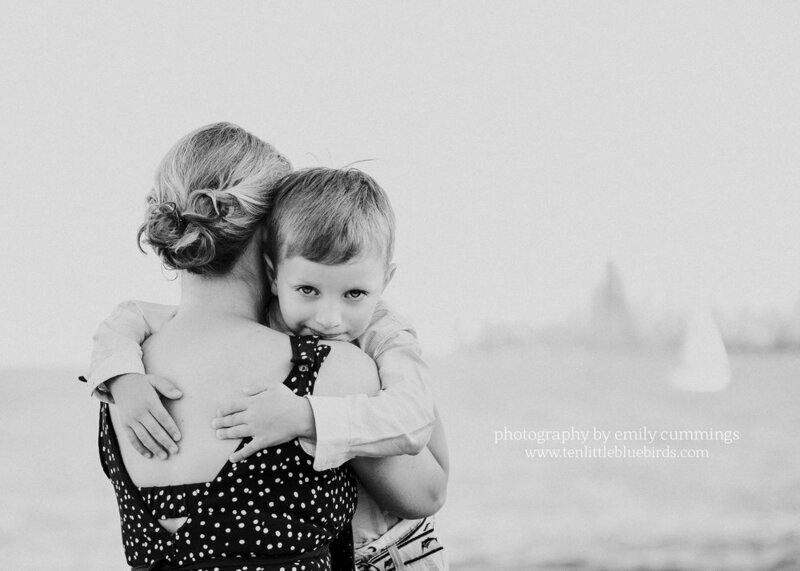 I love to peek in and capture the family moments and emotions unfold. 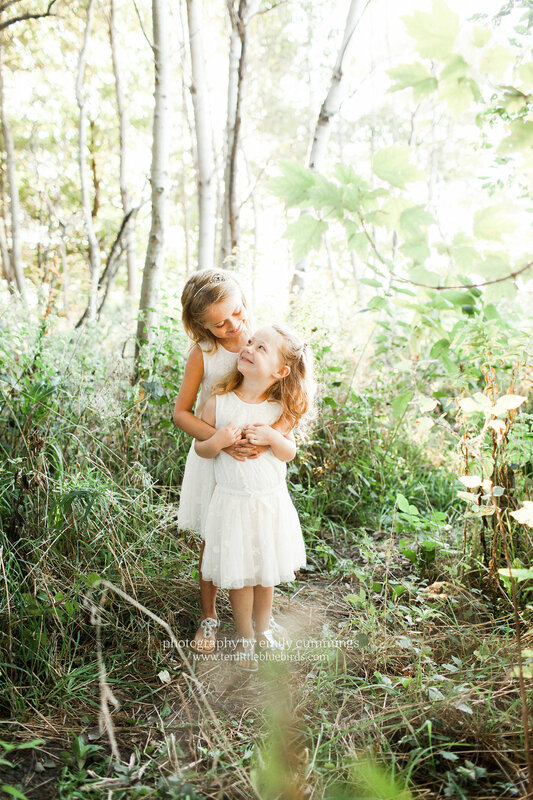 This shoot was full of those moments and lots of laughter and I was thrilled to be able to capture it all on my camera. I suggested we start early in order to capture the beautiful summer morning light and keep things cool before the temperatures start to rise. 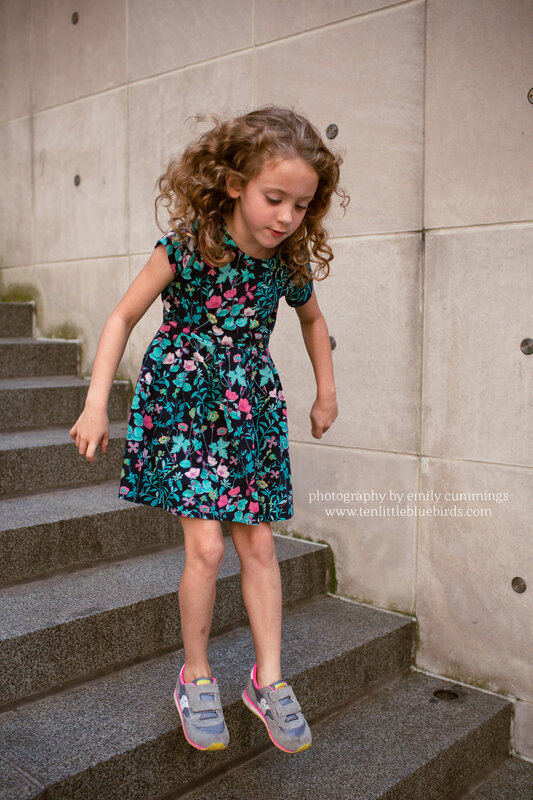 The early morning is also a great option for a photo shoot because it is a little quieter out on the town. 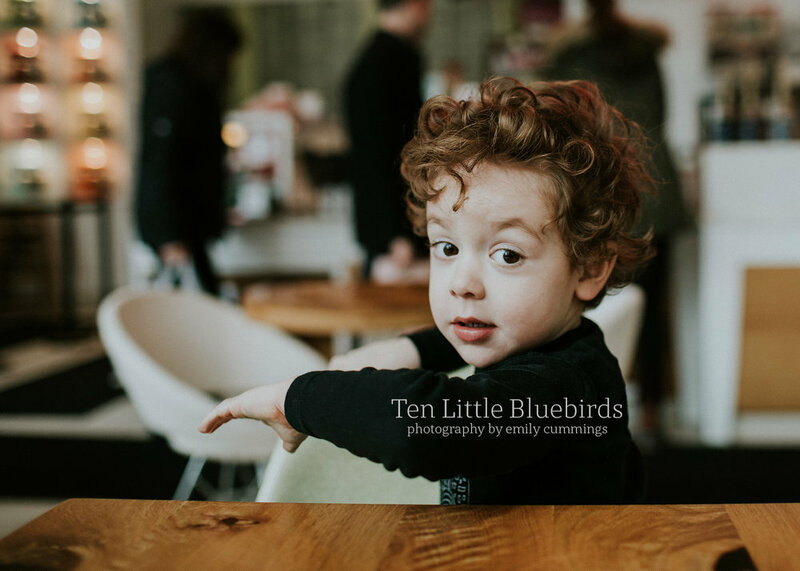 The best part about an early morning photo shoot is that little ones tend to be bright and cheerful after a night of sleep and a full belly from breakfast. This makes everyone more relaxed! Keeping it close to home also gave us an opportunity to pop back into the house and grab a few pictures just hanging out together. Welcome to my new home on the internet! I am so happy you are here. I have been busy prepping the new site, closing down the school year and taking lots and lots of pictures. Keep an eye out for a special I plan to launch next week celebrating the launch of my site. 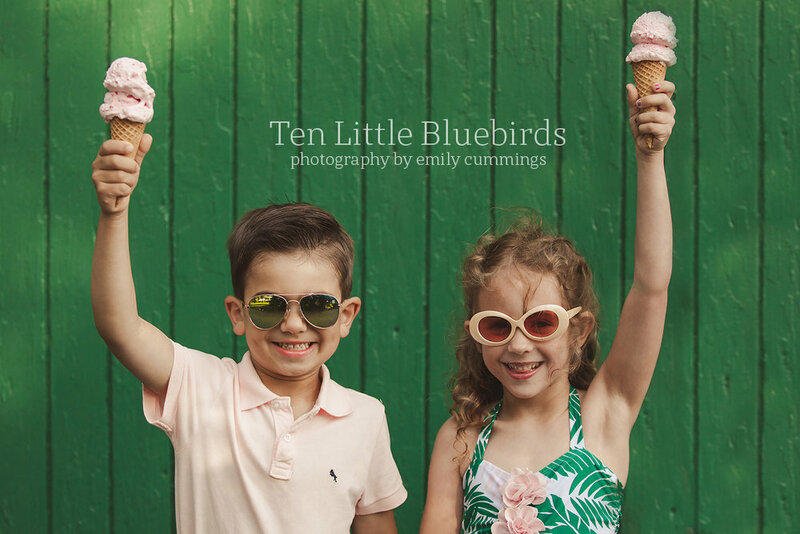 I am excited to share the details shortly and tell you about some exciting new details about Ten Little Bluebirds photography! In the meanwhile, I thought I would start off my new blog sharing a few pictures from our July 4th celebrations. O was finally old enough to use sparklers so I thought we would give it a try. Since they don't sell them in the city I had a friend pick up the 'contraband' on her drive out from Michigan. We had loads of fun. I mainly shoot during the golden hour but I have been watching this ivy over the last few days. I love the shadows during the blue hour so I thought I would try something a little different. I am so glad I did because it really helped make the golden sparklers stand out.